Do not use any of these textures without my permission. All my mods are exclusive to Nexus. I don't allow them to be posted on other websites. 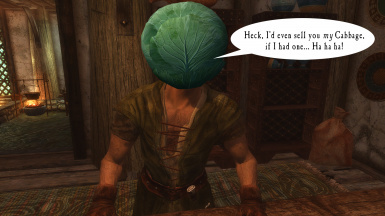 Bethesda for creating Skyrim and giving mod authors the tools and permission to modify their game. 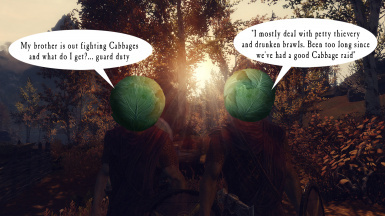 Nexus for giving mod authors a great forum for showcasing their work and continuing to improve the modding experience. 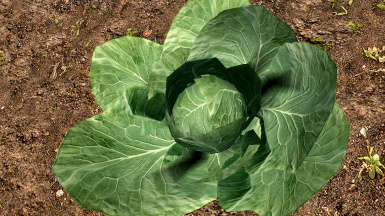 Textures.com for being an invaluable resource of photographic imagery. SparrowPrince for revising the oven mesh. 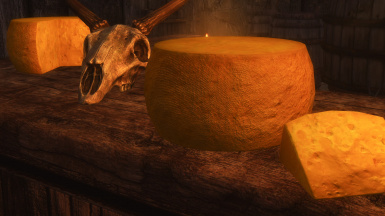 RUSTIC COOKING - Special Edition combines my previous Skyrim mods RUSTIC COOKING STATION, RUSTIC OVEN, AND IMMERSIVE LORE-FRIENDLY CHEESE & CABBAGE. 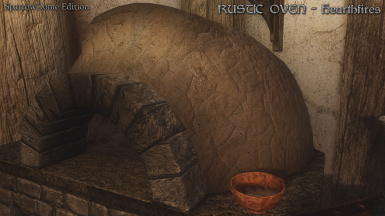 This mod retextures the various cooking apparatus, the fire spit, stewpot, and oven. 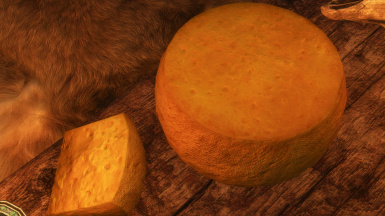 It includes retextures for the stew, cooked beef, cooked venison, and cooked goat. 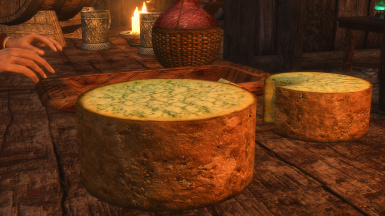 Also included are retextures for cheese and cabbage. 2K and 1K versions available. 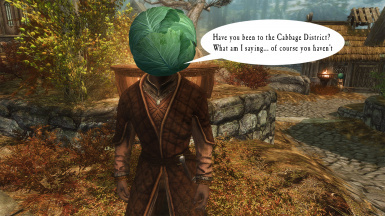 Bethesda didn't explore the cooking aspect of the game very much, but mod authors have since created quality mods that open up the possibilities of cooking as a useful skill set for Skyrim. It always seemed odd to me that in a land with farms growing fresh vegetables and a teeming population of wildlife that everyone would be cooking the same unappetizing pot of stew that looked more like baked beans. 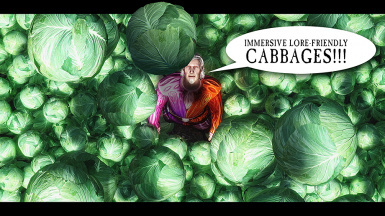 Hardly the hearty stew you'd expect from hard living Nords. 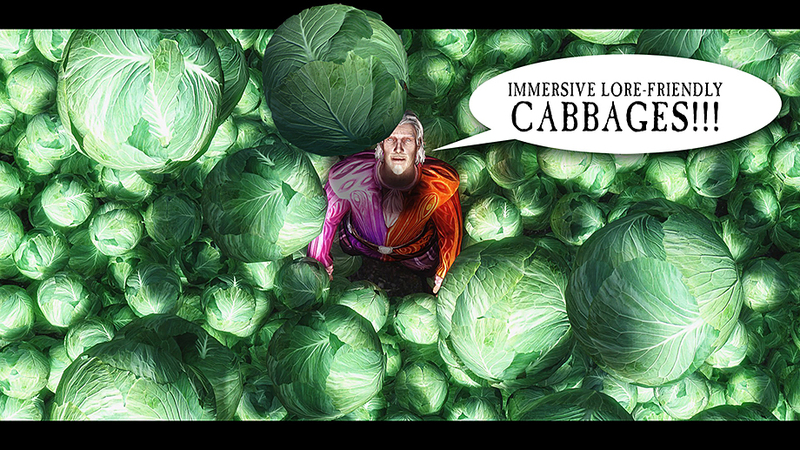 If you're using a mod like Immersive First Person View, then I'm sure you're tired of staring into that unappealing mess. 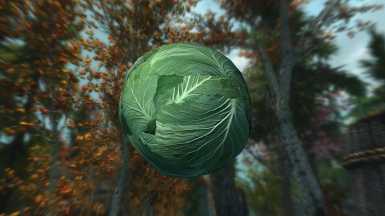 I spent a good bit of effort on the stew texture since it's the one food that's used in all three versions. 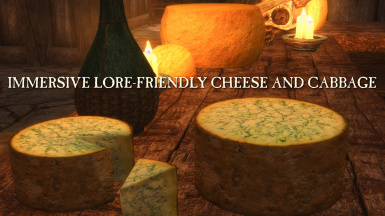 The roasted meats are only used on the large rotisserie version, like the one you'll see in Dragonsreach in front of the fireplace. 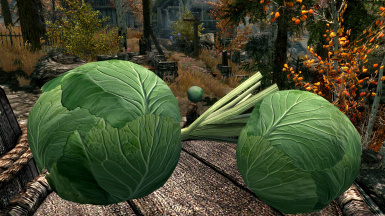 The stand version has a hanging pot for cooking over campfires, and it is often seen outdoors like the one in front of Valtheim Towers. The pedestal version is what you'll commonly see in dwellings, such as Breezehome. 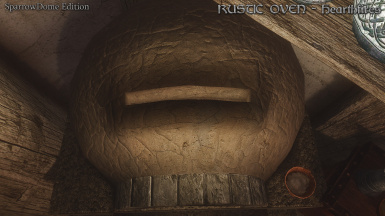 The Bethesda has 1K textures for the oven, but I never cared for their appearance. The brick face looks too much like modern mass produced bricks, and not like the stonework found in most of the game. The oven cooking dome also has an odd looking effect that applies cracks to the surface, but they don't respond to normal lighting. They just look ugly and odd to me. The idea was fine, but the execution was poor. So, I endeavored to make the facing look like cut stone, as you see used for the city walls in places like Whiterun. 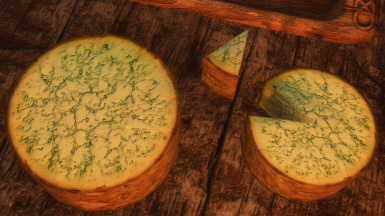 I also negated the "decal" crack effect in favor of smaller (subtler) cracks in the diffuse and normal map textures. In general, I tried to impart more detail and textural interest to the oven, while giving it signs of age and wear. 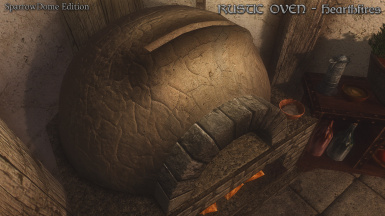 SparrowPrince created a revised mesh for the oven, so the dome top now has it's own texture which helps alleviate some of the blurriness that afflicted the regular version. 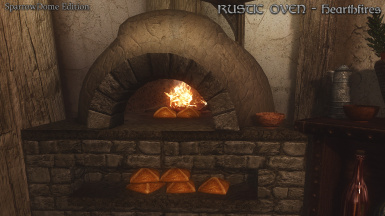 Thanks to SparrowPrince for revising the mesh to allow for a better looking oven. 2K and 1K versions are available, so choose the one that's appropriate for your setup. 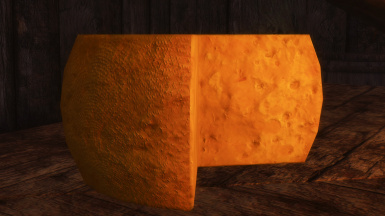 I hope people enjoy this little addition to my Rustic series of retextures.